Thirty-seven years ago today I was born. Today I’m contemplating that and all that I’ve experienced in my lifetime. I’m grateful to be here and thankful for a wonderful husband and to have been brought up in a very supportive family. 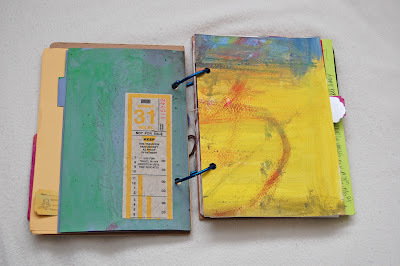 I’m working through Lisa Sonora Beam’s The Creative Entrepreneur and above are images from my own visual journal. I’m still working on the text. It’s in some places and not in others and I realize combining the writing and the visual image does not come easily to me. It’s something I admire in other journals and works I’ve seen and and so my attempt at it will give me an even greater appreciation. 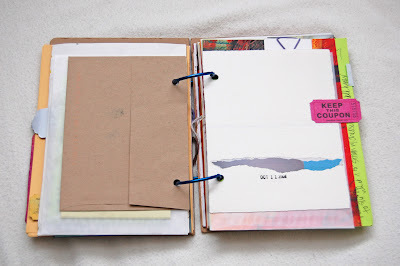 Something exciting I’ve learned through this process is that papers or pieces that were treated as “scrap” or “messups” are no longer, they’re now given a new life in my visual journal. They are now a page in an actual book. It’s curious and makes we wonder about what else I can breathe new life into. What was junk at one point or even garbage and now has a new life because of you? I’m really enjoying Lisa Sonora Beam’s book and the process of thinking differently. I’m working through objectives, strategies and tactics for 2009 and it’s much more detailed than I’ve ever made it. Really exciting stuff. I’m looking forward to the new year and what it brings. Interested in taking a class in Oakland with Lisa Sonora Beam? Visit her website to find out more about her and let me know! I’m looking forward to potentially hosting a class of hers. I came across incredible signage at the ZTA Architectural Office in San Diego. Click on places, commercial and then ZTA Architectural Office to see pics. Support Women Artists Now (SWAN) day is March 28, 2009 and is put together in part by The Fund for Women Artists. I’m excited. I’d like to do something to celebrate… something creative and with women. Interested? Let me know! For many years I’ve been inspired by others who inspire. It hasn’t been enough for me to just witness this, I realize that part of my mission is to be a leader, to connect and inspire others myself. Girl, i’ve been thinking about you! No wonder – your birthday!! Hope you’re having a spectacular start to your 37th year and the amazing journey it will hold for you! Best wishes!! What a lovely thing to do: celebrathe your birthday by teaching…and you bring such a unique abililty to teaching, you really hear and see; not just follow an agenda and share knowledge but also you encourage and find new ways to approach the issues that come up during such a complicated process as planning and reviewing a year of work (and play). thanks and birthday wishes that include the celebration of that last page of accomplishments for 2009. 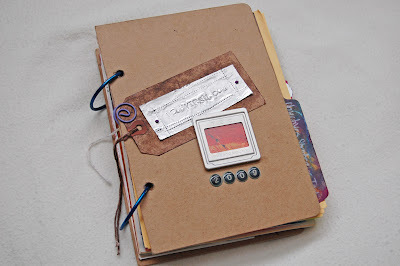 I found your blog via your comment on Lisa Call’s blog….I’m bookmarking yours!!! Thanks so much for the birthday wishes and thanks for writing! I’m excited for this year. It feels like lots of great stuff is happening. I think of you often. I appreciate your interest back in the day when I was writing “Spark.’ I’m working on a new newsletter. Will send it to you soon. Thanks so much for your comments! This teaching has been really great for me. Lots of learning and discovery. It was a joy to teach on my birthday. You contribute so much and that makes it even more rewarding. Thanks for checking out my blog! Actually I think you went to my website and then to my blog. It’s so neat to experience the interconnection of the web.